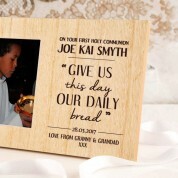 A personalised gift with a difference for a boy or girl celebrating their First Holy Communion. 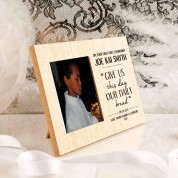 Parents can proudly display it on the mantel piece to remember the special occasion. 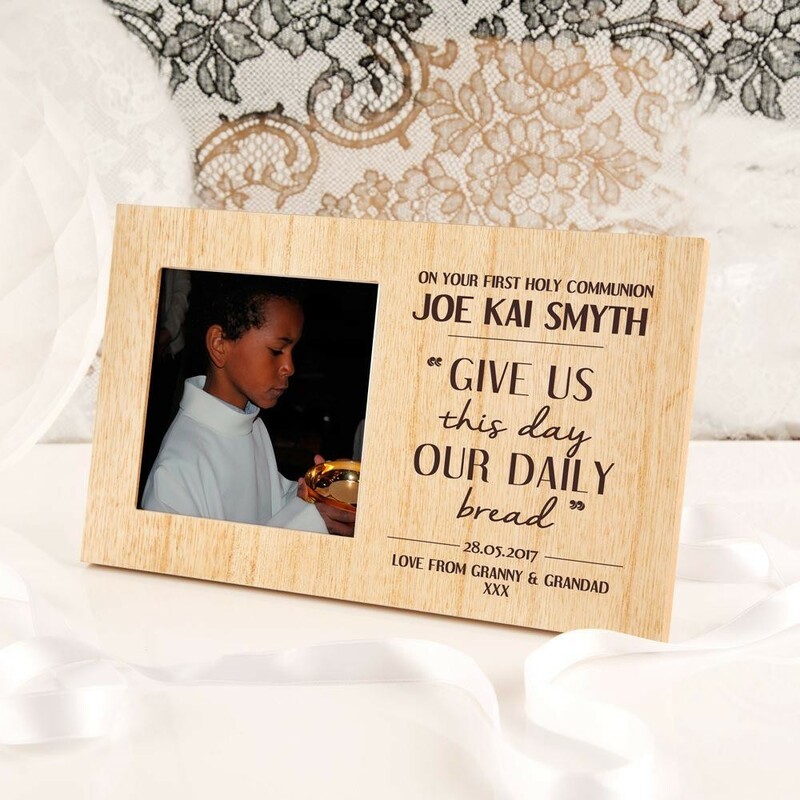 It looks stunning wherever it sits in the home, with a simple design engraved in to the wood. 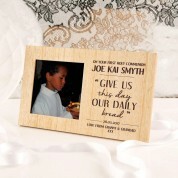 It features a line from the Lord's prayer: “Give us this day our daily bread”. The child's full name is included in bold text, along with the memorable date. There is even space for a short with love message of your choice, making it truly unique to every child.